Sun and clouds mixed. High 62F. Winds W at 5 to 10 mph..
A few passing clouds, otherwise generally clear. Low 36F. ENE winds shifting to NW at 10 to 15 mph. Ian Hobson will perform Saturday with the Wyoming Symphony Orchestra. Piano tuner Steve Bovie poses at the 9-foot Steinway grand piano at Natrona County High School. Bovie’s father, Robert, picked the piano from the Steinway factory showroom in the late ’70s. Tuning a piano is an act of concentration. Steve Bovie plays a note and hears inside it. “When I hear that note, I’m hearing something that is about an inch thick. It’s a piece of meat. The wider it gets, the more I can do with it,” Steve said. Steve, 56, of Casper, has tuned pianos since the late ’70s. He is the tuner who will get the 9-foot Steinway grand concert-ready for Ian Hobson, guest artist for Wyoming Symphony Orchestra’s upcoming concert and a pianist who performs regularly with the world’s major orchestras. Saturday’s concert will feature Beethoven’s piano concerto No. 4 and Fourth Symphony on the same night, just as the works were debuted together in March 1807, said Matthew Savery, music director and conductor for the Wyoming Symphony Orchestra. Hobson will play the piano concerto on the NCHS Steinway. To prepare the Steinway, Steve will tune it at least twice before the concert. He’ll play the piano harder than Hobson to ensure his adjustments hold. He’ll concentrate on each tone individually and each tone as part of the whole, preserving the temperament of the Steinway and its flow from one key to the next. Like painting a car, you find the color you want and make sure it’s the same from the front to the back, Steve said. Steve’s father, Robert Bovie, picked the NCHS Steinway personally. Robert loved pianos. He retired as the NCHS orchestra director so he could tune pianos full time, Steve said. Robert knew that the Steinway factory in Long Island, New York, plucked choice pianos from its assembly line and kept them in a crowded showroom. In the early ’70s, three Casper arts organizations — the Wyoming Symphony Orchestra, the NCHS music department and a now defunct group that worked to bring in guest performers —pitched in $3,000 each to buy a Steinway piano they could share. Robert flew to the factory and played several Steinways before picking this one. Steinways are handmade, start to finish. A Yamaha piano will take 2 ½ weeks to build, a Steinway will take 13 months, said Steve, who is trained to tune both piano brands. Yamaha makes a quarter million pianos a year, Steinways make about 2,500. Craftsmen sign their Steinways like painters sign their canvas. “No other piano plays like it. It doesn’t play like it, and it doesn’t sound like it,” Steve said. In 1979, Steve finished college at North Texas State and started selling pianos for Les Parsons. Casper was in the middle of an oil boom and Parsons had 40 to 50 pianos on his showroom floor. On Christmas Eve, the store would sell six or seven Steinway grands, and an entire crew of workers would be waiting to take them to the customer’s house and tune them for Christmas morning. Oil men used to come in with wads of cash, some missing two or three fingers. Steve remembers one man counting out 100 $100 bills to pay for his piano. Tuning was his dad’s thing, but his dad couldn’t keep up with demand. Steve went to the Yamaha Little Red School House piano technician school in Buena Park, Calif. – an intensive one week program taught by, among others, Richard Davenport, a tuner of pianos for Hollywood movie studios and concert halls. Steve still tunes by ear. Most others tune by machine. Steve thinks of it like painting-by-numbers, piano-tuning by math. Every piano is different, each has its own sound. Math can’t account for that, Steve said. Machine-tuned pianos sound like machine-tuned pianos. For Ian Hobson, Steve will tune the Steinway again on Saturday after the last rehearsal. Hobson is a dynamic player, Steve said, and he will play that piano hard. Hobson may choose to give Steve notes, tweaks Steve needs to make to suit Hobson’s preferences. Steve lives five minutes away from NCHS. Sometimes, he’s called in to fix something at the last minute. Once, a blind soloist didn’t like the sound of the Steinway, but couldn’t explain why. The pianist’s manager was going nuts, Steve said. Steve noticed that the Steinway still had its music rack, the place where players set their sheet music. The blind pianist never used a music rack and was used to the strings’ vibrations blasting unobstructed from the piano to his face. Steve removed the rack and solved the problem. Steve still tunes pianos, but his dad was the tuner of the family, he says. While Steve learned functional piano in college, people gathered to listen to Steve’s father play. His dad tuned pianos, including the NCHS Steinway, up until the last week he was alive. Contact features editor Kristy Gray at 307-266-0586 or kristy.gray@trib.com. 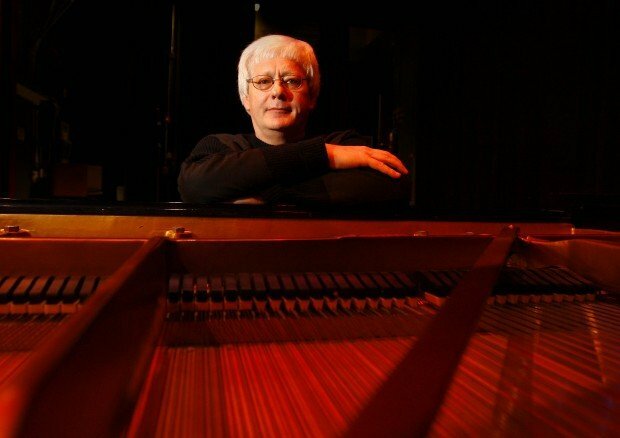 A native of Wolverhampton, England, pianist and conductor Ian Hobson is recognized throughout the world for his masterful performances of the Romantic repertoire, his deft and idiomatic readings of neglected piano scores old and new, and his assured conducting from both the piano and the podium. Hobson is also renowned as a dedicated scholar and educator, who has pioneered renewed interest in the music of lesser-known masters Johann Hummel and Ignaz Moscheles, as well as an effective advocate of works written expressly for him by several of today’s noted composers, including John Gardner, Benjamin Lees, David Liptak, Alan Ridout and Roberto Sierra. As guest soloist, Hobson appears regularly with the world’s major orchestras; in the United States these include the Chicago Symphony Orchestra and The Philadelphia Orchestra, the symphony orchestras of Baltimore, Florida, Houston, Indianapolis, Pittsburgh, St. Louis and the American Symphony Orchestra and Orquesta Sinfónica de Puerto Rico. Abroad, he has been heard with Great Britain’s Royal Philharmonic Orchestra, The London Philharmonic Orchestra, Scottish National Orchestra, Royal Liverpool Philharmonic Orchestra and Hallé Orchestra, ORD-Vienna, Orchester der Beethovenhalle, Moscow Chopin Orchestra, Israeli Sinfonietta and New Zealand Symphony Orchestra. Ian Hobson’s 2009-2010 season focused primarily on the music of Frédéric Chopin. He completed a traversal of Chopin’s complete piano works over 12 recitals at the Chicago area’s Tallgrass Loft. He also gave an all-Chopin recital in Istanbul and opened the Baltic Festival, which included two subsequent Chopin recitals. Active in the recording studio, Mr. Hobson has been engaged in recording a 16-volume collection of the complete works of Chopin for the Zephyr label. In addition to the complete works for solo piano, this series features performances by pianist/conductor Hobson and the Sinfonia Varsovia in all of Chopin’s music for piano and orchestra, plus his collaboration with other artists in the master’s chamber music and songs. This edition includes approximately 45 minutes of Chopin music never before recorded, making Mr. Hobson the first ever to record the composer’s entire oeuvre as a single artist. From August through December 2010, he presented a 10-recital series devoted to the 200th anniversary of the Romantic Era’s two greatest composers for the piano: Chopin and Schumann. The concerts took place at New York City’s Dicapo Opera Theatre and explored the heritage and legacy of these two musical giants. During the 2011-2012 season, Mr. Hobson returned to the music of Robert Schumann, presenting the complete works solo piano in 10 concerts at the University of Illinois at Urbana-Champaign. Increasingly, Hobson is in demand as a conductor, particularly for performances in which he doubles as a pianist. He made his debut in this capacity in 1996 with the Stuttgart Chamber Orchestra, and has, subsequently, appeared with the English Chamber Orchestra, Fort Worth Chamber Orchestra, Poland’s Sinfonia Varsovia (at Carnegie Hall) and Pomeranian Philharmonic and Kibbutz Chamber Orchestra of Israel, among others. As a pianist and a conductor, Mr. Hobson performs extensively with Sinfonia da Camera, which he formed in1984 and which quickly gained international recognition through its recordings. The ensemble celebrated its 25th anniversary in May 2009 with the world premiere performance of Moscheles’s Piano Concerto No. 8, orchestrated by Mr. Hobson from notes scrawled by the composer on an original piano score. Hobson is also active as an opera conductor, with a repertoire that encompasses works by Cimarosa and Pergolesi, Mozart and Beethoven, and Johann and Richard Strauss. In 1997, he conducted John Philip Sousa’s comic opera, El Capitan, in a newly restored version with Sinfonia da Camera and a stellar cast of young singers. The recording was issued the following year as one of the inaugural releases of the Zephyr label, founded by Mr. Hobson. A fervent advocate of George Enescu’s music, he conducted and recorded the 2005 North American premiere of the operatic masterpiece, Oedipe, in a semi-staged version performed by Sinfonia da Camera on the 50th anniversary of the composer’s death. The CD was issued by Albany Records in 2006. An artist of prodigious energy and resource, Hobson has amassed a discography of over 60 releases, most on the Zephyr label, including the complete piano sonatas of Beethoven and Schumann, a complete edition of Brahms’s variations for piano and the complete piano works by Chopin. In the dual role of pianist/conductor, he and the Sinfonia Varsovia recorded for Zephyr Rachmaninoff’s four piano concerti and Rhapsody on a Theme of Paganini - a tour de force no other performer has matched. Mr. Hobson has more than 20 albums on the Arabesque label, featuring the music of Clementi, Dussek, Weber; the complete piano sonatas of Hummel, the complete solo transcriptions of Rachmaninoff and Hobson’s Choice, a collection of the artist’s favorite pieces exploring the multiple facets of virtuosity across the span of thee centuries. Orchestral releases include works by Jean Françaix, Darius Milhaud and Camille Saint-Saëns, as well as Igor Stravinsky’s L’Histoire du soldat and William Walton’s Façade, with narrator William Warfield and the Sinfonia da Camera led by Mr. Hobson. Hobson can also be heard on the BMG/Catalyst label in Kevin Oldham’s Concerto for Piano with William McLaughlin conducting the Kansas City Symphony. For EMI, he recorded Mozart’s Piano Concerti Nos. 23 & 24 with Sir Alexander Gibson and the English Chamber Orchestra, and Henry Holden Huss’s Piano Concerto with the BBC Scottish Symphony Orchestra for Hyperion. With the Sinfonia Varsovia and violinist Andrés Cárdenes, Hobson conducted the Brahms and Mendelssohn violin concerti, released in 2007 on ARTEC. 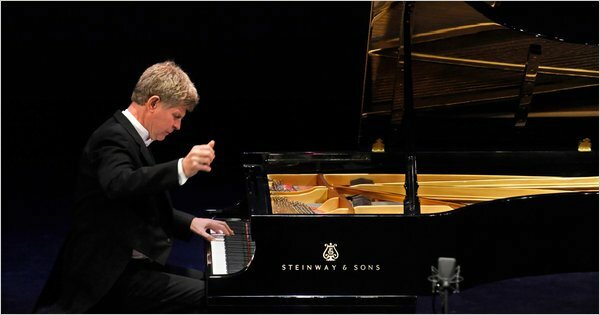 In addition, Hobson is a much sought-after judge for national and international competitions, and has been a member of numerous juries, among them the Van Cliburn International Piano Competition (at the specific request of Mr. Cliburn), the Chopin Competition in Florida, Leeds International Pianoforte Competition (U.K.), Schumann International Competition (Germany) and Arthur Rubinstein Competition (Poland). In 2005, he served as Chairman of the Jury for the Cleveland International Piano Competition and New York City’s Kosciuzsko Competition; in 2008, he served in the same capacity for the New York Piano Competition - to which, renamed New York International Piano Competition, he returned in 2010. One of the youngest graduates in the history of London’s Royal Academy of Music, Ian Hobson subsequently pursued advanced studies at both Cambridge University and Yale University. He began his international career in 1981 when he won First Prize at the Leeds International Piano Competition, after having earned silver medals at both the Arthur Rubinstein and Vienna-Beethoven competitions. Among his distinguished teachers were Sidney Harrison, Ward Davenny, Claude Frank and Menahem Pressler, while, as a conductor, he studied with Otto Werner Mueller, Dennis Russell Davies, Daniel Lewis and Gustav Meier, and worked with Lorin Maazel in Cleveland and Leonard Bernstein at Tanglewood. Currently, Mr. Hobson is the Swanlund Emeritus Professor of Music, University of Illinois. For the 2011-2012 Michaelmas Term, he served as Visiting Fellow at Magdalene College, Cambridge.